Tool Tech has recently refreshed its brand to include an updated logo, a new user-friendly website, and new marketing messages and materials. Tool Tech is a true one stop shop for injection molding, molding making & design, general machining and fabrication, and parts assembly. With all operations in house, Tool Tech saves time, money, and resources for its customers by maintaining operations under one roof. Tool Tech’s new website features many user-friendly resources. The services provided by Tool Tech, including injection molding and machining and everything in between, are outlined clearly on the website. 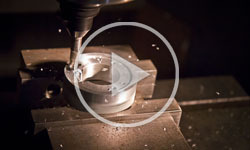 Equipment, capabilities, services offered, and examples of Tool Tech’s molding and machining work are all easily accessible on the new website. Contact forms for quick quotes, as well as social media links and a blog with current industry and Tool Tech news are all available as well. Visit the new website at www.tooltechcorp.com today and follow us on social media as well.